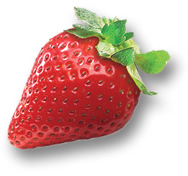 Plant Sciences, Inc. is an industry leader in producing proprietary strawberry genetics. Through the use of traditional crossing techniques, we facilitate three separate in-house breeding programs, designed to select cultivars adapted to specific growing regions throughout the world. As part of the testing and selection process, we conduct varietal field evaluations of our genetics in grower fields in Central and Southern California, as well as many international locations. The objective of this selection process is to produce varieties with improvements in production, fruit size, resistance to pests and disease, and that have desirable production timing. Along with our field evaluations, we also conduct fruit quality evaluations to simulate traditional shipping and handling of the product. We select for fruit with improvements in flavor, post-harvest fruit quality, color, disease and pest resistance and overall appearance. The Strawberry Breeding Department at Plant Sciences, Inc. also oversees research nursery propagation in both our high-elevation and low-elevation strawberry nursery facilities in Macdoel, California and Manteca, California respectively. The ultimate goal of Plant Sciences' strawberry breeding department is to develop high quality, flavorful fruit with increased shelf life, improved yields and fruit size, and reduced disease and pest susceptibility; all this to meet consumer demands and bring success to those that we collaborate with and serve.